What does an Image Consultant do? In essence we help people understand which colours and styles suit them but what we actually do is give people confidence because they will look and feel fantastic as they gain a workable and versatile wardrobe. Image Consultant – an image consultant should be able to offer a client colour analysis; skincare and make-up advice; women’s style consultations; men’s style consultations; wardrobe sorting sessions and personal shopping trips. Personal Stylist – a personal stylist could potentially offer all of the above services – and just like the image consultant they are working personally with the client to ensure that their wardrobe works for them and their lifestyle. Fashion Stylist / Personal Shopper – Probably more retail based, focussing on the shopping and wardrobe elements – they are unlikely to have any formal colour analysis training. Stylist – Stylists tend to work for magazines on fashion shoots or shop for celebrities – there are very few opportunities to gain paid experience in these roles and those that are available are very competitive. 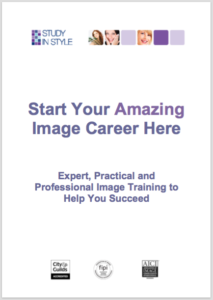 What does an image consultant do in 2013? The image profession has changed dramatically over the past 30 years. In the 1980’s and 90’s the main focus for image consultants was group colour analysis sessions, but nowadays although colour is still vital, shape and style are increasingly important and the service has become much more personalised. This has been popularised with the explosion of TV make-over programmes, people want to know what styles and shapes suit them, as well as how to put outfits together. The only problem with the TV programmes is that they tend to just stick to surface level information and there is no real depth. This means that many of the participants revert back to their old habits very quickly, often because they weren’t told why something works or doesn’t work and they were just given an outfit to wear. So as an image consultant or personal stylist what we offer is longer term information – we can interpret fashion trends for normal people who want to look current, never frumpy or like mutton dressed as lamb. What we offer is a longer lasting, professional service. ← Sales Shopping – how to do it successfully!